Construction of facilities, hydraulic structures and a coastal site for the world’s only floating nuclear power plant (FNPP) has begun in Chukotka. 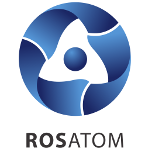 According to Vitaly Trutnev, RosEnergoAtom’s Director for FNPP, the work will be completed in 2019. “All of this will ensure safe docking of the FNPP and its connection to the onshore terminals to transmit electricity and heat to Pevek’s power and heating systems,” Mr. Trutnev explained. “The construction is running as planned and will be completed in the second half of 2019.” It was announced on 12 September that comprehensive tests of the world’s unique FNPP reactor were scheduled for late 2018.